The last hours of Directgov are ticking away (normally, I would put a link in there, but it won’t go tomorrow to where I point it to today). Soon all attention will – quite rightly – be focused on gov.uk (and I still can’t bring myself to write that in the shouty ALL CAPS which seems to be the preferred house style). Right now though, important reflections are appearing about what Directgov tells us about the past, and what it may yet tell us about the future. Graham Francis has written one valedictory post, Dan Harrison has written another, and Alan Mather one more. Alan’s post in particular systematically sets out the positive challenge which in some ways lies just as tantalisingly in the future as when Alan and I and others started trying to imagine and create that future over ten years ago. It was to transcend the constraints of departmental boundaries, provide information organised according to what people actually wanted and needed to do, and support transactional services. There is vanishingly little trace of it now. Even most of the site snapshots ostensibly captured by the National Archive seem not actually to exist. But here are three crumbling, low resolution screen shots (they do get bigger if you click on them). 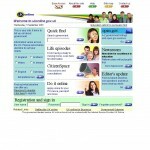 The first is the home page, carrying no reference to the structure of government. 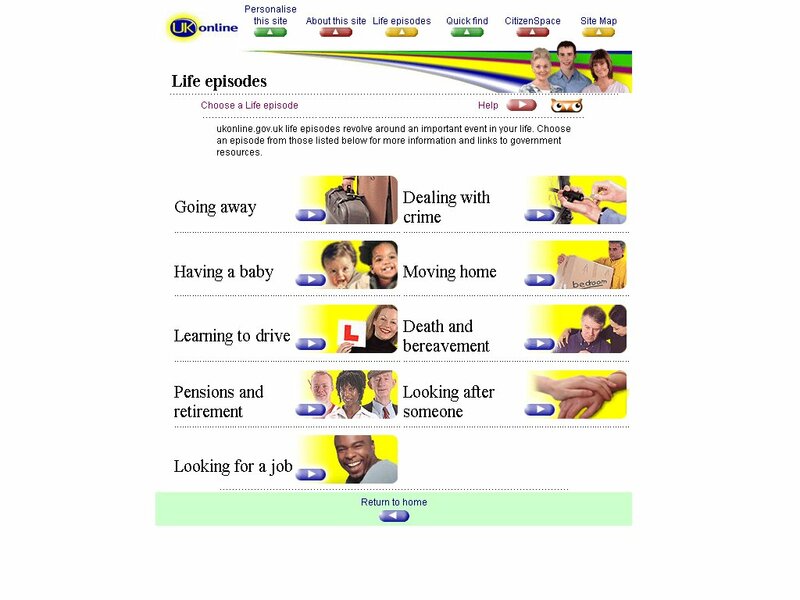 The second sets out ‘life episodes’ – information and transactions organised around what people want to get done in their lives. And the third focuses on transactions – a small and slightly random set, perhaps, but more innovative in some areas than it might first appear, and more innovative in at least one area than anything delivered since. This is not a fit of nostalgia. 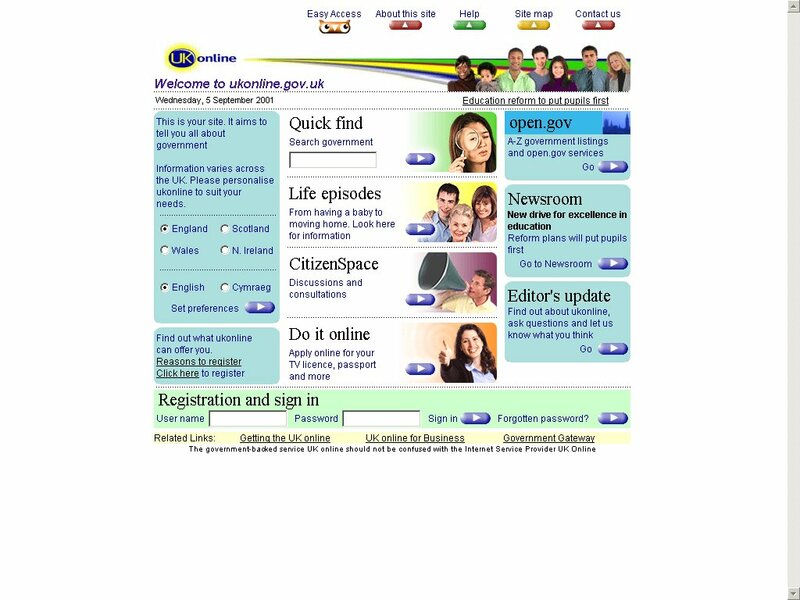 Both UKOnline and Directgov were important steps forward, but neither ever fully escaped from the constraints with which they started. We should celebrate them, but we should not mourn them. Today attention should be on another big step in that journey. Mike Bracken, Tom Loosemore, and their gang have done an outstanding job, keeping an unswerving direction from clarity of vision through to focused delivery. In lots of ways, they have done us proud. The innovation of gov.uk does not lie in the concepts it embodies. What is striking is not how new those are, but how little different from the ambitions of a decade ago. The innovation of gov.uk lies instead in taking brilliant advantage of a moment in time – a political, technical, financial and personal concatenation which was never quite in place before (and which, as Alan points out, cannot be guaranteed to persist). Providing a government web service when there isn’t a government is an intrinsically difficult thing. 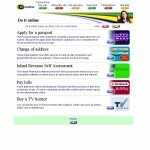 The solution therefore requires a better government as well as the better web service. That post was prompted by Martha Lane Fox’s review of Directgov which started the journey to gov.uk. We have reached a major milestone in that journey. But for all its collective brilliance, the GDS team has only done the hard bit. The even harder bit still lies ahead. I see that some of DirectGov is alive and well behind the shiny new storefront. 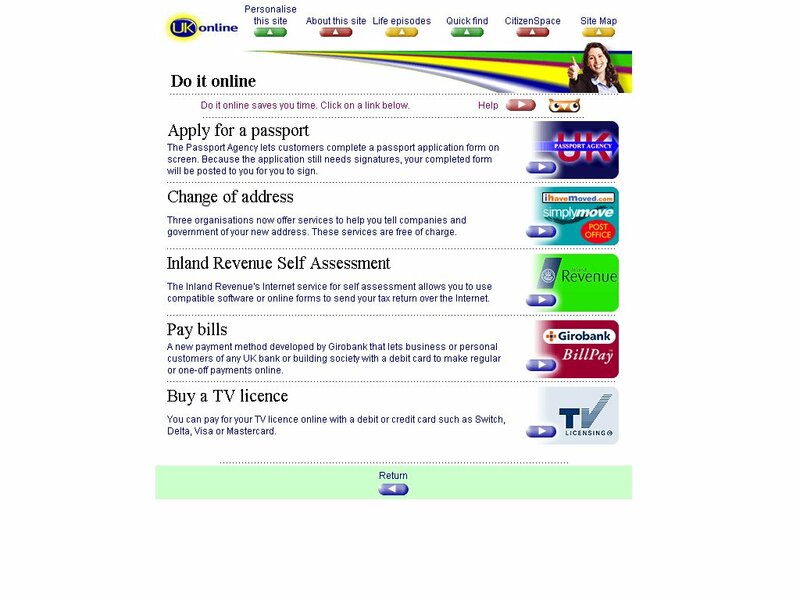 Example – go here http://www.gov.uk/book-practical-driving-test and click “Start now”. Yes, I tweeted earlier about my surprise (and mild disappointment) that the flagship car tax service still has its own massively outdated orange DG skin. This is not a technical barrier, nor I imagine one of will. The original idea of white-labelling a transaction was to permit reskinning when needed, and I can’t imagine that any GOV.UK (yes, I agree on the shoutiness) product owner could really enjoy sending people away from the excellent new design to that awful old site. So why no new skin, to complement all of the rest of the shiny? And therein lies one of the real questions that has to be answered as we move to the next stage of progress, and to better transactions. The current answer is that a combination of legacy contractual dead-locks, the inability to direct suppliers to prioritise “cosmetic” changes, and a governance issue about who is really responsible for user experience, prevent a tiny change being made which could have greatly enhanced the service for which DG was best known. That, quite simply, has to change. To be fair, there’s a lot of work going on on that front. @nicepaul mentioned earlier that he’d done some work in the territory, and there’s other projects addressing some of the issues you raise. No doubt once the dust settles, and there’s something substantial to report, there’ll be more info around. Ahem. *cough* Do we not mention open.gov.uk? It doesnt seem to be on the waybackmachine…. Dear God I feel old now.